Maybe you're wondering, why Moustache Moji? And the answer is simple: Because we love moustaches just as much as you do! And because moustaches are totally awesome. 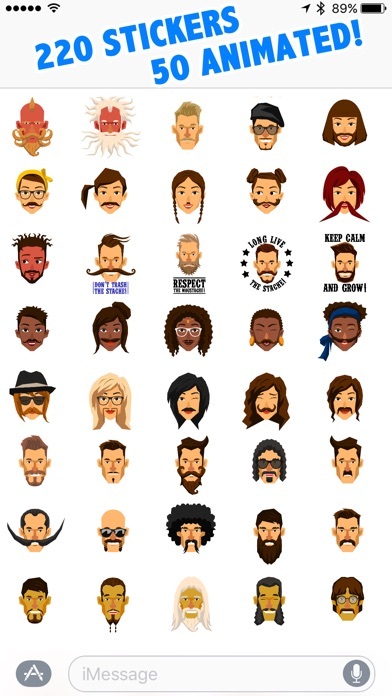 To celebrate the moustache way of life, we have put together the most fantastic sticker pack you'll ever see! More than 200 different kinds of stickers; Men, women, moustache quotes and much, much more. Fifty of the stickers are hilarious animations that literally will make you laugh out loud. 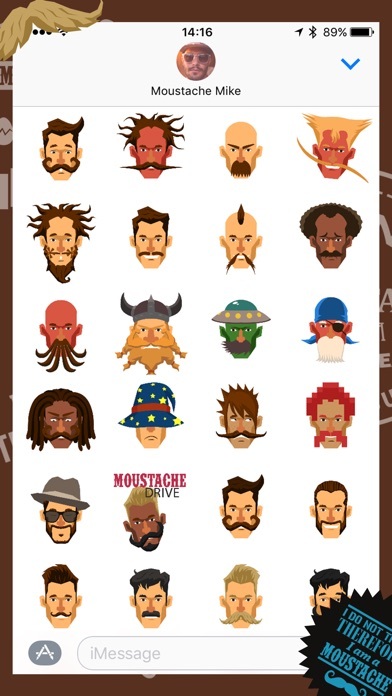 * Manly Moustaches The largest collection of manly moustache emojis you'll ever see in one place! We got everything covered, from the most crazy ones to the old classics. * Feminine Moustaches Of course our beloved Mo-Sisters also have their very own moustache emojis! Our female moustache collection has got something to offer for everyone. * Hilarious Animations Fifty of the coolest and most hilarious animations you'll ever see! Workout Moustaches? We got it. Super Hero Moustaches. We got that too! * Moustache Quotes The most famous, most weird and most funny Moustache Quotes out there. We got you covered in this area as well. Moustache Moji has got something for everyone, download it now and spread the Moustache Love to all your family and friends! This Apps is really amazing and way to get Mustache Stickers and lot of more then 200 Stickers available so this is really amazing and way to mark your month via this Stickers so i really love this apps . This Moustache Moji is a interesting and helpful app. I have used many similar apps and I believe this is the best iMessage app. There are tons of new fun Mustache Stickers and other new designs that it provides. It's really awesome app. Thanks for share this app. I love this mustache stickers app. 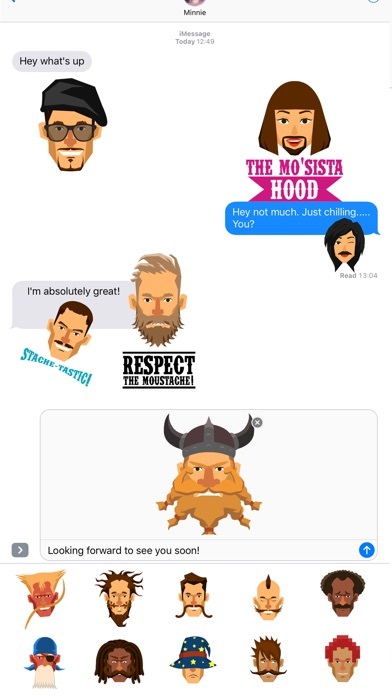 You can text and message with your friends with all different options and different types of stickers. I wish there were more options available, but there is definitely going to be more I'm sure of it in the future! 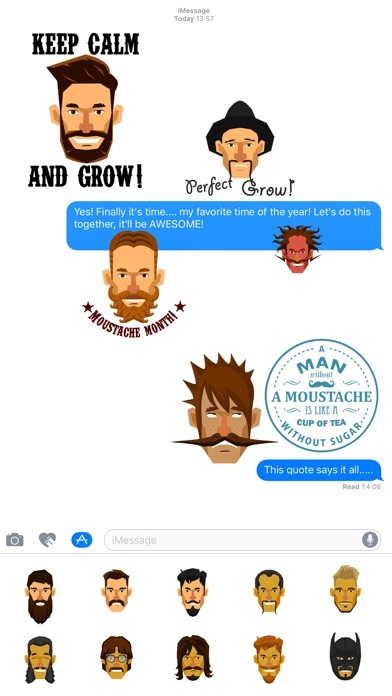 These Mustache Stickers are great to add to emoji collections no matter who you are. There are so many different types to choose from manly mustaches to feminine Mustaches. The app it self works great with no crashes or bugs so that makes it even better. Definitely recommend this to anyone. Check it out! I absolutely love everything about this app. Everyone knows mustaches are the coolest, so what could be cooler than mustache stickers? The answer is nothing. 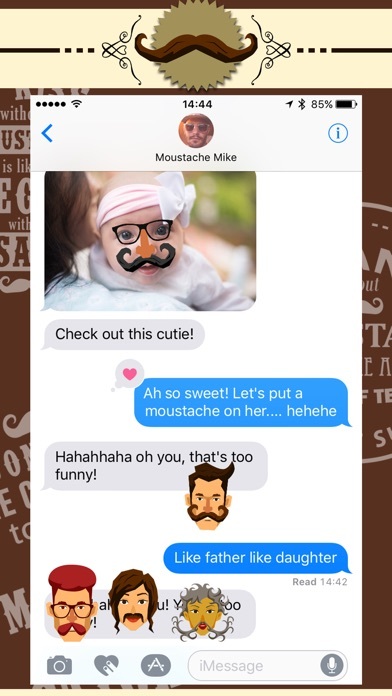 This app will provide you with the most mustache stickers and emojis ever! Just a super fun and cool app that is out at just the right time for mustache month. Download it and start having some mustache fun!